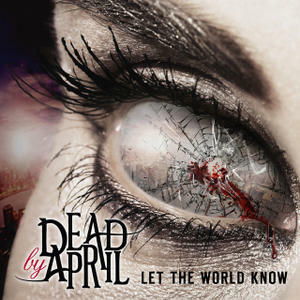 Dead by April are a metal band from Gothenburg, Sweden. Having said that they're a metal band, they aren't your typical metal band. Their musical style doesnt fit into any of the usual genres - instead Dead by April blend synth-rich pop music with death metal screams/growls and clean vocals. It's a similar style to that used more successfully by fellow Swedes Amaranthe (although Dead by April pioneered the sound). Whereas Amaranthe use clean female vocals in addition to the clean male vocals and male growls, Dead by April just use clean male vocals and screams/growls, so there is less variety vocally. This is a very interesting style of music with so much variety and sounds to pick from, but it's also a fairly niche sound - for many metal fans this is too much like pop, but for many pop fans this is too much like metal. For those music lovers willing to embrace a wide range of music then this album works very well. The death metal style screams are great and the clean vocals are well done. The music is extremely synth-heavy with good drum work but the guitar is far too low in the mix most of the time which means it lacks power, and the bass almost non-existent. I'd be interested to hear the band live as I suspect the guitar sound would be more prominent and that would give it more of a punch. This is a very good album, and I think it's a real step up from their previous album but no matter how well Dead by April do thisin my opinion Amaranthe simply do it much better. Amaranthe fans should definitely check out this album though as I suspect a lot of them will enjoy it despite the lack of female vocals removing some of the vocal harmonies Amaranthe employ.